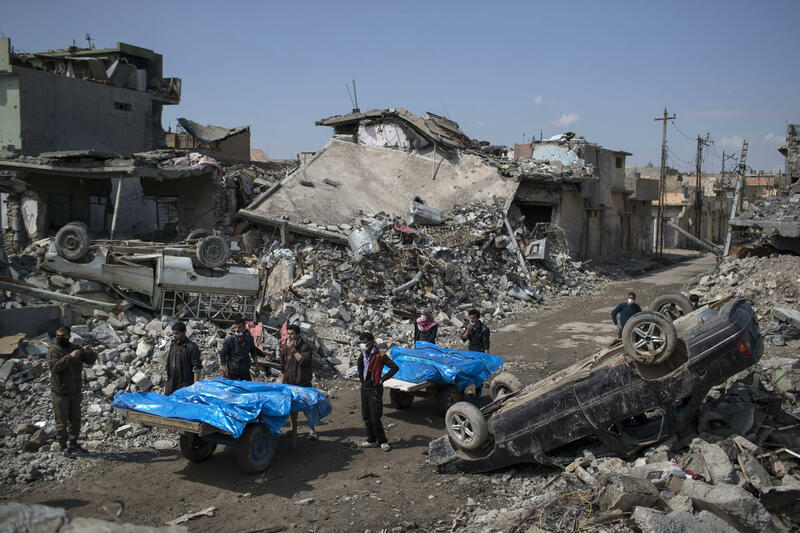 The Department of Defense says at least 484 civilians have been killed in coalition strikes since the beginning of the campaign against the Islamic State of Iraq and Syria (ISIS), CBS News national security correspondent David Martin reports. U.S. Central Command (CENTCOM) reported an additional 132 likely civilian casualties caused by U.S. bombing in its monthly report tallying civilian deaths released on Friday. That number includes 101 civilians who were killed in a single strike on March 17 in Mosul, Iraq. A Pentagon investigation determined the deaths were caused by a bomb detonating ISIS-planted explosives in the building where civilians were hiding, causing it to collapse. CENTCOM said the anti-ISIS campaign has included 44,330 engagements on ISIS targets between August 2014 and April 2017, resulting in 118 "credible reports" of civilian casualties. The command said the percentage of engagements that resulted in reports of civilian deaths stands at 0.27 percent.